First time users were creating accounts on the platform, but would take no action after that. Abandonment was happening at various points of the free trial process and the team needed to understand why. As a first step towards validating the problem and gaining clarity on what might be causing friction and abandonment, I co-ordinated a set of user interviews and moderated usability tests with the help of a UX research professional among a group of potential customers. A formal report of with top findings was shared with stakeholders. First time users were unclear about what the terms of the free product trials were, since when they signed up for an account, they were confronted with a page with no information regarding free trials, but only a message to enter their credit card information and no way to create a trial database. The company wanted to offer trials on all three product offerings, and the trials could be activated at any time after sign up. Users needed to understand what they were getting with each product trial. Users needed to track the time remaining on an active trial while understanding the overall status of all trials. Before working on a new user journey, I met with the engineers who work on the app, the support team that receives customer complaints and questions and the product managers on what their current frustrations were and what their ideal scenario would be. I then documented the most recurring feedback on the existing free trials journey map. 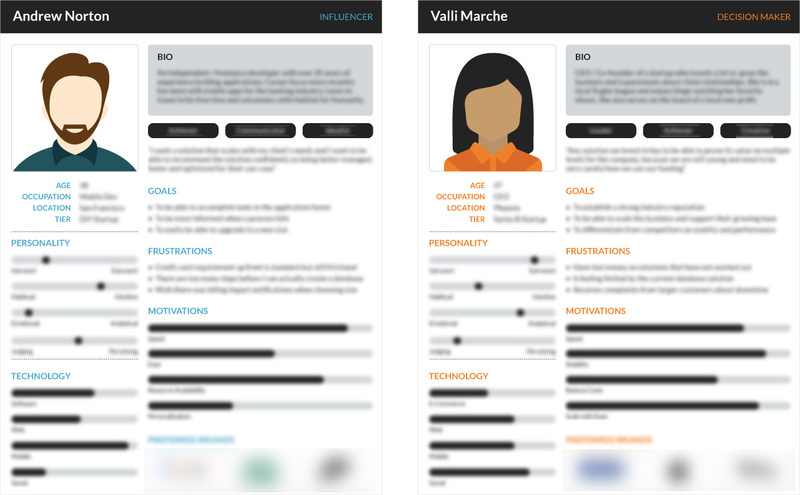 Based on the user interviews, user personas were narrowed down to the two main profiles that might be examining us as a possible solution for their business. Influencer: A developer working at a company looking for a managed data solution - usually the one to test any new platforms or products that the company is considering. Decision Maker: A technical lead or business lead of the company whom the influencer reports to who may want to take the new platform for a spin before signing the check. Free trial flows of various competitors were examined by myself and other team members through signing up for the service and going through the journeys. Points of similarity and differentiators were identified for our free trial journey. The team got together to put ideas on the table on how we could best redesign the flow. Once a solution for the first stage was agreed on, I created a new journey map. The journey map helped guide what we would push into development for MVP based on technical debt and other product roadmap priorities. Based on this, I created wireframes in context within the app, since the new flow would be laid on top of the existing layout and iterated on them based on internal feedback since I was not given a budget to recruit end-users. 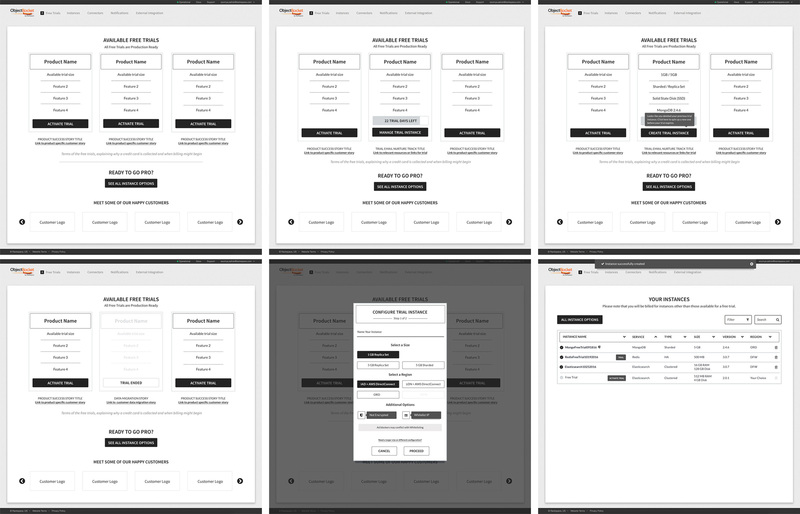 I then converted the approved set of wireframes into high-fidelity mockups. The MVP high-fidelity mockups were translated to an interactive prototype and internal feedback was incorporated. Once all stakeholders approved the prototype, the flow was approved for development/implementation. 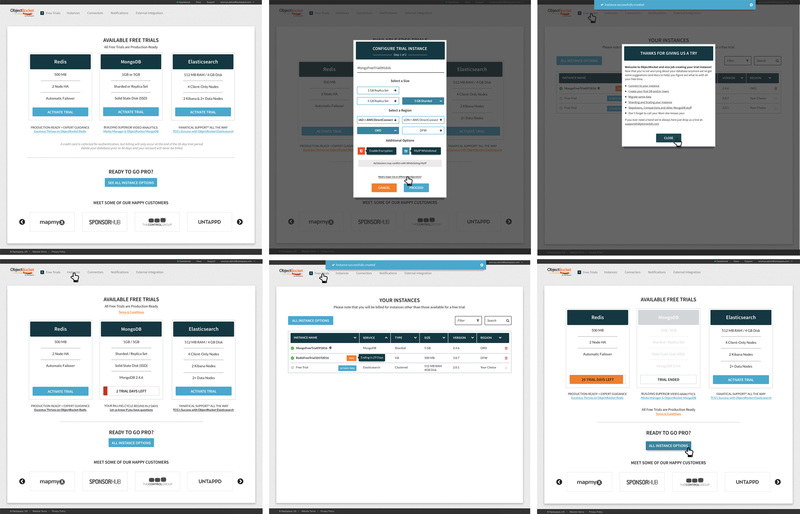 Once in production, I conducted another cycle of usability testing with the help of the researcher and the team on the MVP solution, and it surfaced points of UX friction, some edge cases and improvements needed. Solutions for issues that surfaced during the usability tests were iterated on by the team, and fixes for the issues were in progress when I left the company.